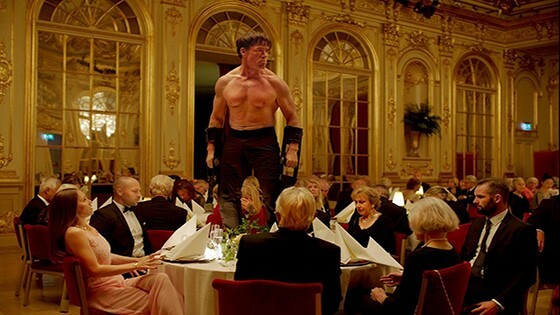 Swedish director Ruben Ostlund ups the ante in this ambitious, multi-layered successor to his masculinity-in-crisis comedy “Force Majeure.” The surprise winner of the Palme d’Or at this year’s Cannes Film Festival, “The Square” likewise concerns a beleaguered male authority figure, caught in a downward spiral of missteps and absurdity. Christian (Claes Bang), the curator of an opulent Stockholm modern art museum, clings to his seeming liberal values even as they prop up an entitled cluelessness. After an act of chivalry goes wrong, he’s under siege from unknown thieves, an angry American journalist (Elisabeth Moss), a pint-sized immigrant antagonist and a performance artist whose “human ape” routine goes terribly wrong. The satire of the international art world is delicious, edged in the shadow of Europe’s refugee crisis and viral media outrage culture.